A Wood Group construction project has been honoured by the Associated Builders and Contractors; one of the leading organisations representing America's construction industry with nearly 21,000 members. The project is a strong example of the diversity the acquisition of Kelchner has added to the construction services that Wood Group provides the industrial/commercial sector. 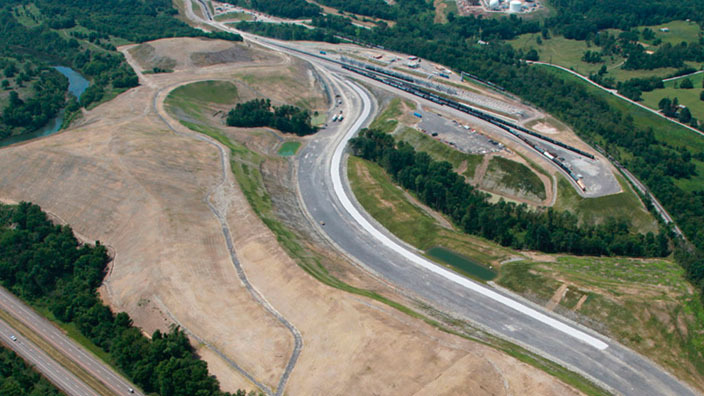 The Hopedale Rail Yard Phase 3 project boasts the movement of more than 7,000,000 cubic yards of dirt onsite, has performed over 400,000 square yards of cement stabilization and placed over 150,000 tons of stone, which allowed for the installation of miles upon miles of underground utilities. The award recognises excellence in the project’s contracted scope and narrative, participation list, diversity, safety, references and overall presentation. Kelchner was established in 1948 and is wholly owned by current CEO, Todd Kelchner, son of the company’s founder. Kelchner has a diverse portfolio of energy, industrial, commercial and residential customers and currently provides services in the US with a focus in the Marcellus and Utica shale plays. This is the third award Kelchner has received in recognition of its work on the Hopedale Rail Yard project, having secured accolades for earlier phases of the project.